"You have to take into account the absence of revenue from European competition this season, as well as any big transfers and the 75% tax law (€2m). In light of these absences, we have considerably reduced our losses. We have shown we have the possibility to present balanced finances next season, without needing to transfer players. The new model is taking shape." "We are in a different era now. We have focused on producing our own young players, or completing the academy training of other young players that join us, such as Maxwel Cornet. We also want to keep our best players. That's the economic plan that we have put in place. If we qualify for the Champions League, we can envisage many different scenarios, while always respecting our Business Model. I'm not ruling out and departures, but our strategy is to operate with the same squad." "It wouldn't impact on the financial results for this season, but rather, for next year." "We agreed with Yohann Gourcuff's lawyer to not discuss the issue until the end of March. For Nabil Fekir, I saw him recently with his agents. I think I understood, I had the impression that he was going to change. I don't want to talk to him about an extension [he is under contract until 2019], but rather a renegotiation of the current deal. Clément Grenier? First of all, he has to get back on the pitch. I think he will be back in a couple of weeks. I have every intention of offering him a new deal [he is under contract until 2016]. That would be good." "I'm not one to mince my words... We want to finish in the top three. The initial aim was to qualify for Europe. Now we want to qualify for the UCL. If I analyse the situation, we have three away matches to play in a row. After these games, we can see if we can hope for better. The aim may be to finish in the top two. We can also say that with the club's experience, the coaching staff that we have and the talent of the players, that there won't be much in it... We can dream of finishing first, but there's more chance to finish second or third. Let's say that now we have a 30% chance of being champions, compared to 0% at the start of the season. It would be not to know me to say that I'd prefer to finish second and qualify for the UCL than win the title because of the bonuses I'd have to pay to the players. I'd prefer to win the league and pay the price!" "What has happened in England should be an inspiration to French football. It's the result of a strategy. I'm not jealous of their success. We should learn a few lessons for the future. 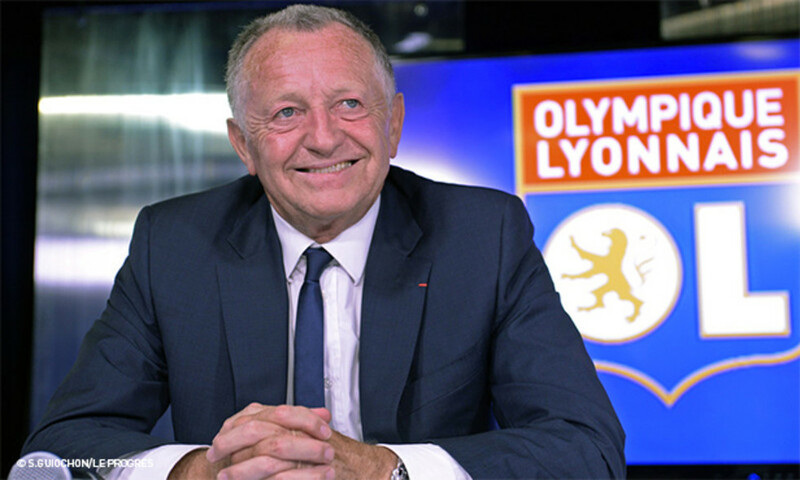 France should take advantage of Euro 2016, of new investors like at PSG and ASM… to create a strategy with the final aim of increasing revenue. English clubs will work like inflation that will upset French football. It becomes a question of balance in the market place. I don't think it's bad news for French football and for OL, quite the contrary in fact... But to take advantage we have to be part of the footballing elite." "Thiriez followed the ECA position on whether or not to move the 2022 World Cup. That's the same position as me. It's not Thiriez that thought it up, it was the ECA. Moving the World Cup would mean changing the organisation of the leagues... That would pose a big economic problem." "I think we are ahead of schedule concerning the Training Centre and the Academy. It should be announced in late March. For the stadium, we had planned on making a final decision in January 2016; but I'm hopeful it will be done this summer."